Riboflavin-5-Phosphate contains 10 mg of pure riboflavin-5-phosphate in an easy to swallow capsule. 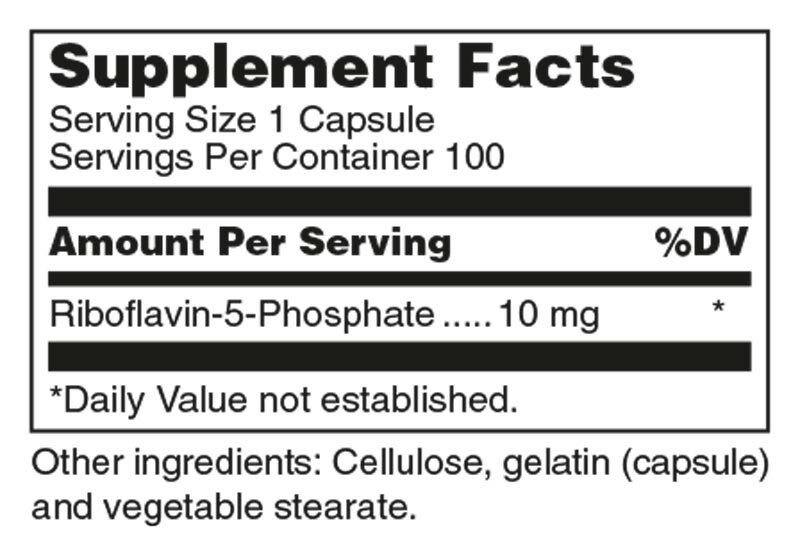 Riboflavin, also known as Vitamin B2, is an essential B vitamin. It is a component of the coenzymes FAD and FMN, which are intermediates in many redox reactions, including energy production and cellular respiration reactions. It is also important for normal eyesight and skin. It is readily absorbed in the small intestine, but is not stored in body, since it is water-soluble. Riboflavin can be found in foods such as green leafy vegetables, milk, yogurt, cheese, and whole grains. 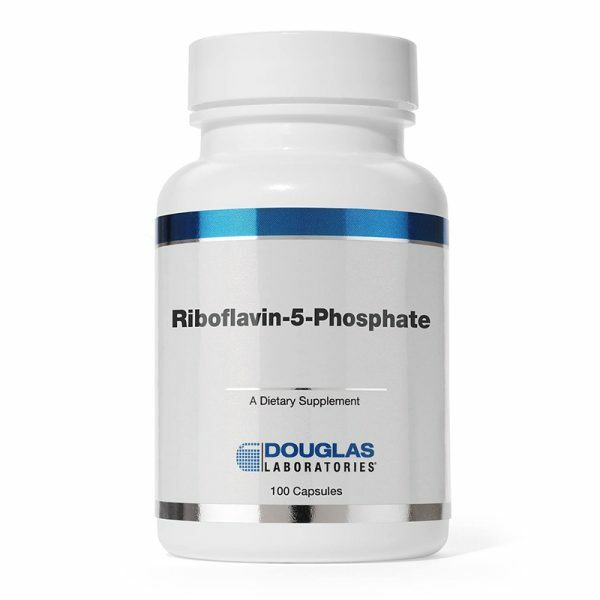 However, riboflavin-5-phosphate is more soluble than riboflavin and the form found in all living tissues and cells.